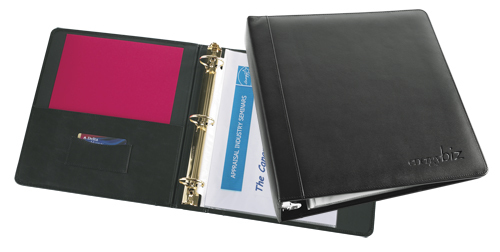 Executive Leather Stitched Binder Letter Size Leather Binders  : BindersNow.com, Quick, Easy & Online! Perfect for many applications: Financial Planning Binders, Insurance Binders, Catalog Binders, Proposal Binders, and more! Make a great first impression. Give your materials the introduction they deserve with rich LEATHER and customize with your own logo debossed or silkscreened on the front cover. Deboss on front cover max size 4" x 2"